Ranger oil drains are by far the best solution to the common problem of waste fluids. 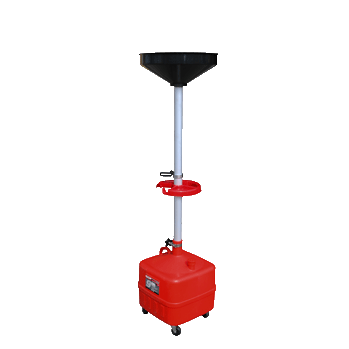 The lightweight 9-gallon RD-9G features a wide-bodied design to eliminate tipping and ensure proper balance whether the unit is in use or maneuvering around the garage on its ball bearing casters. Constructed of high-quality translucent polyethylene for strength, durability and easy oil level viewing. All ranger oil drains resist rust, dents, automotive fluids and other otherwise corrosive chemicals.